The complete design and construction service working to the highest standard in steel fabrication and contemporary metalwork structures. 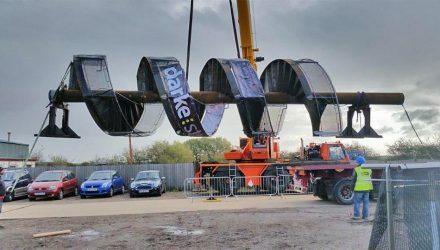 Darke Steel provide a complete structural design service including calculations, material traceability, weld procedures and coded operatives in order to execute works to the highest standards, designed to client requirements. 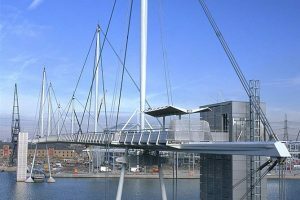 Specializing in difficult structures where attention to details is paramount, Darke design and make every form of structural steelwork from light architectural steel to the heaviest industrial plant including industrial buildings, schools, offices and bridges. 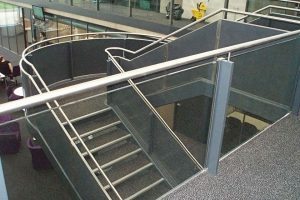 Darke Steel provide a full design service to engineer the best solution for your steel structure, or work with your architect/engineer to provide the connection design and workshop drawings. 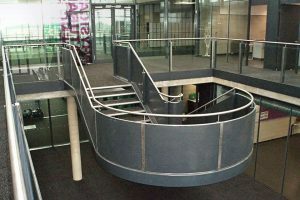 Either way we fabricate all types of structural steelwork using fully experienced and qualified welder fabricators and our site teams are directly employed. 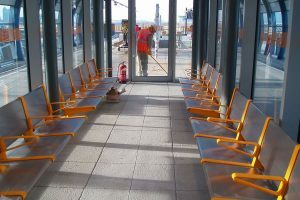 We have CITB qualified supervisors, appointed crane supervisors, qualified slinger/signallers and CSCS card-holding erectors. 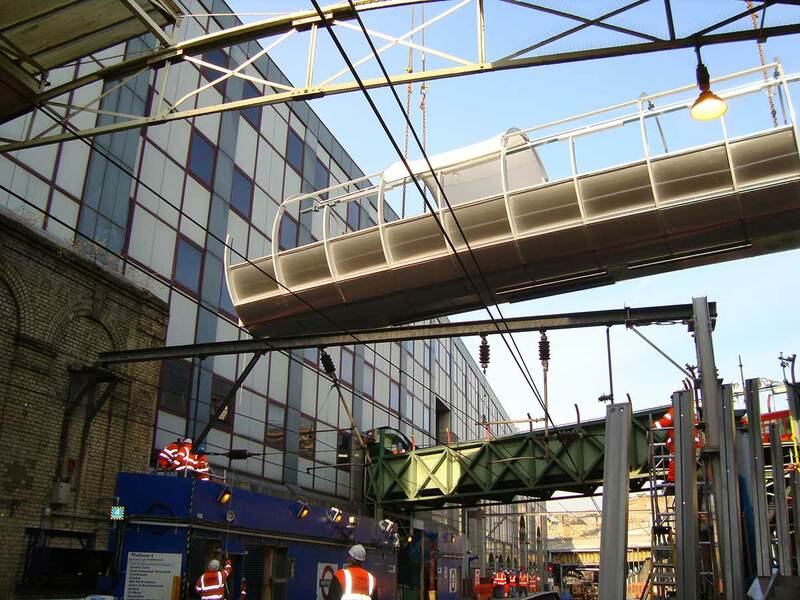 Our site crews operate from long wheel based vans fully equipped as mobile workshops. 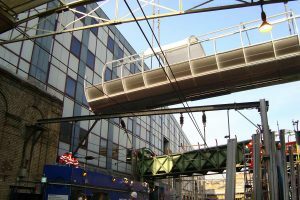 These vehicles carry safety equipment to comply with current legislation. 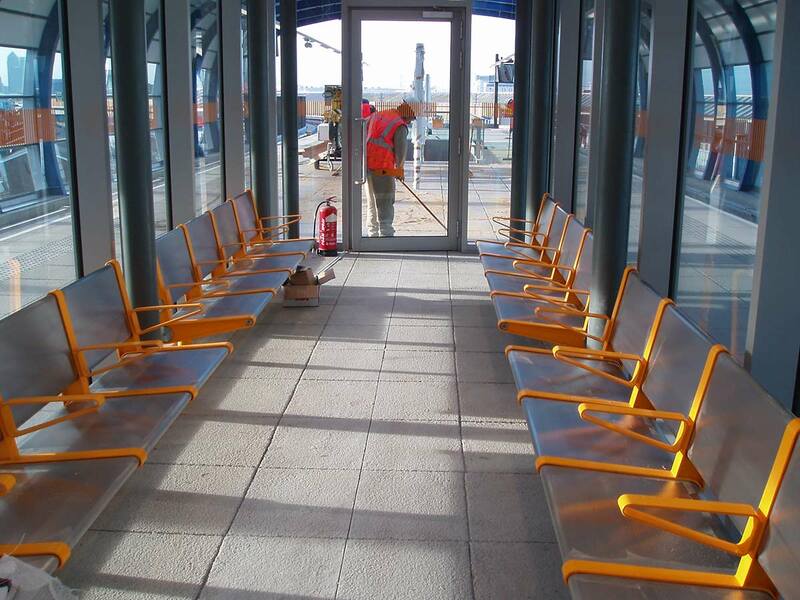 All our site operatives carry CSCS cards as well as holding appropriate welding, plant operating and slinger/signaller qualifications. 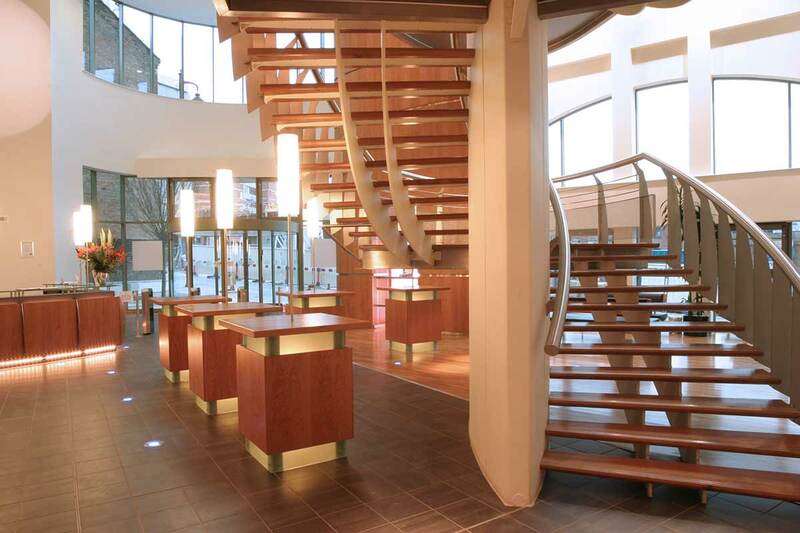 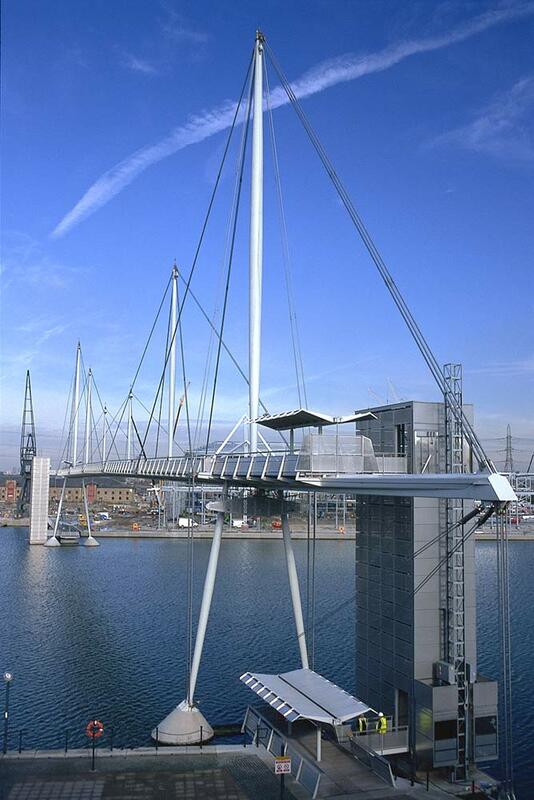 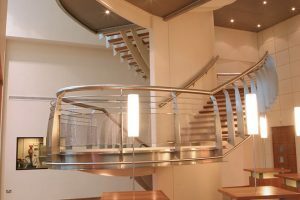 Since the mid-nineties there has been a huge increase in demand for design and construction of exciting contemporary metalwork for structures such as staircases, bridges, balconies, handrails and balustrades. 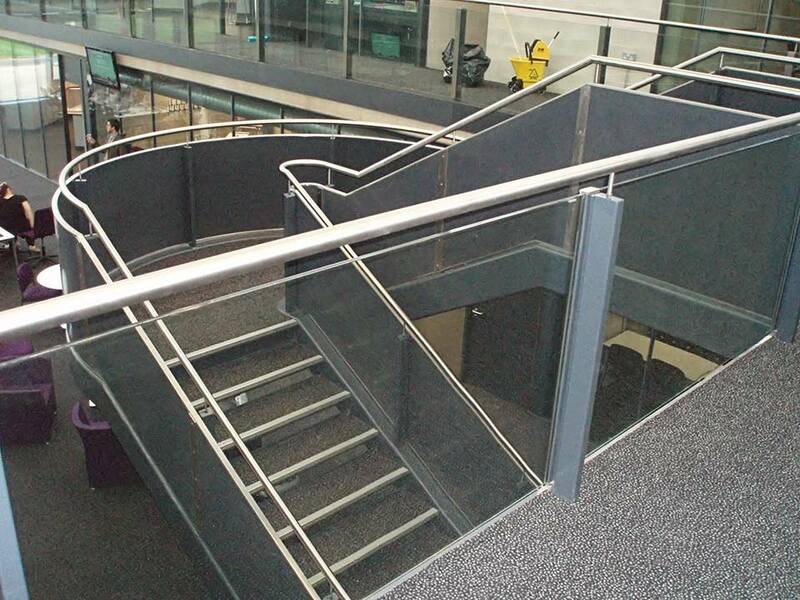 Darke Steel is one of the most sought after companies working within this area today. 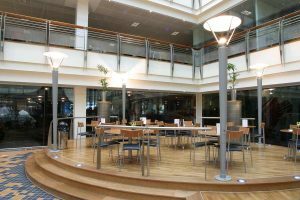 Solid relationships with top architects has resulted in prestigious awards and Darke’s experienced workforce has the high levels of engineering and skills required to meet the demands of architects, contractors and developers. 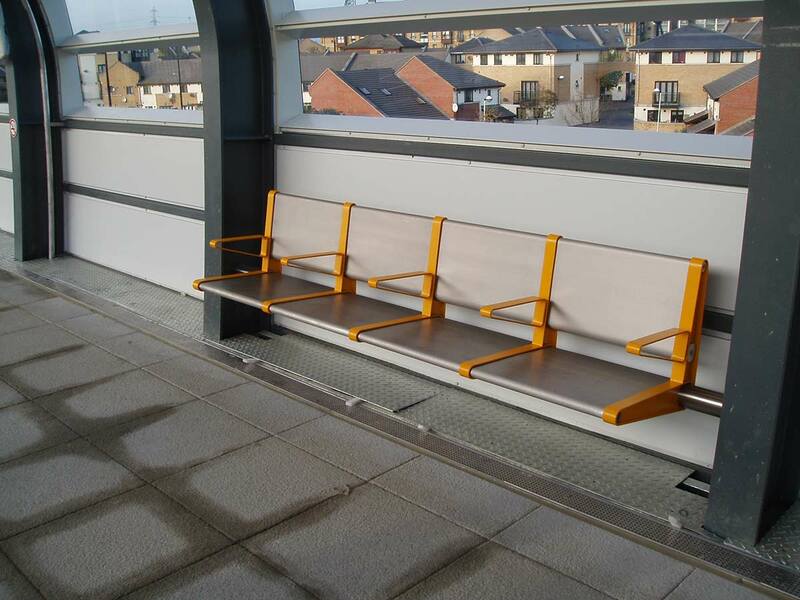 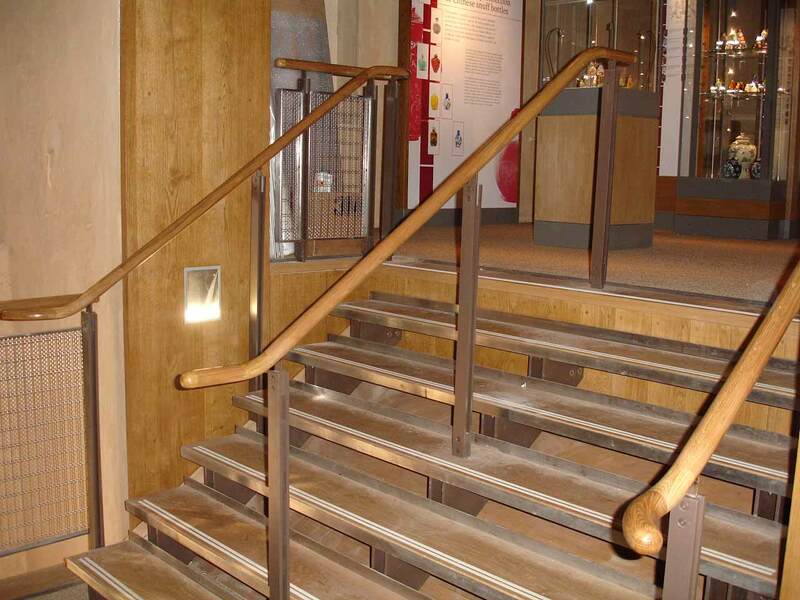 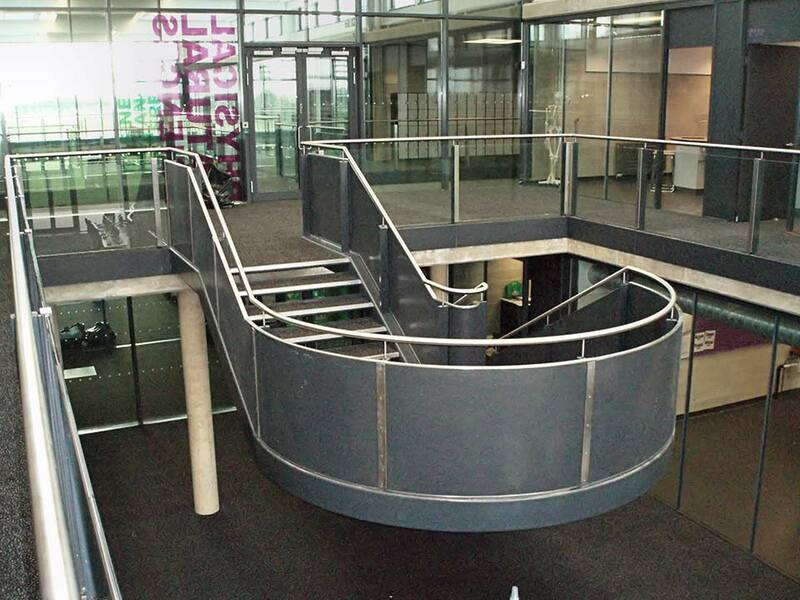 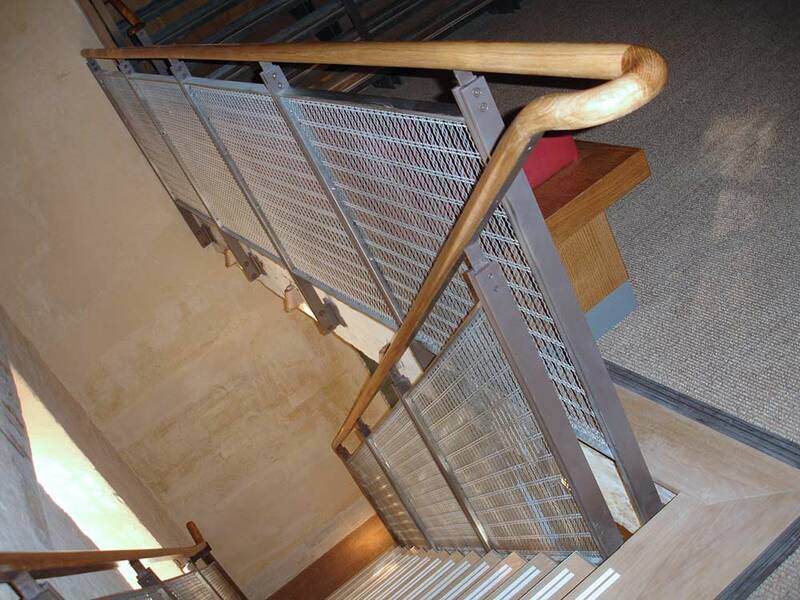 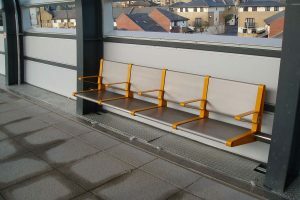 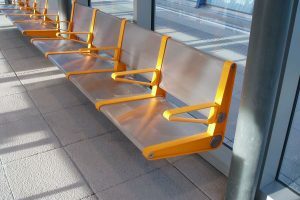 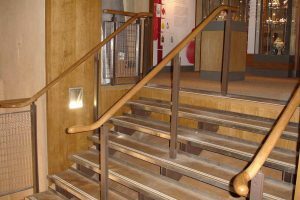 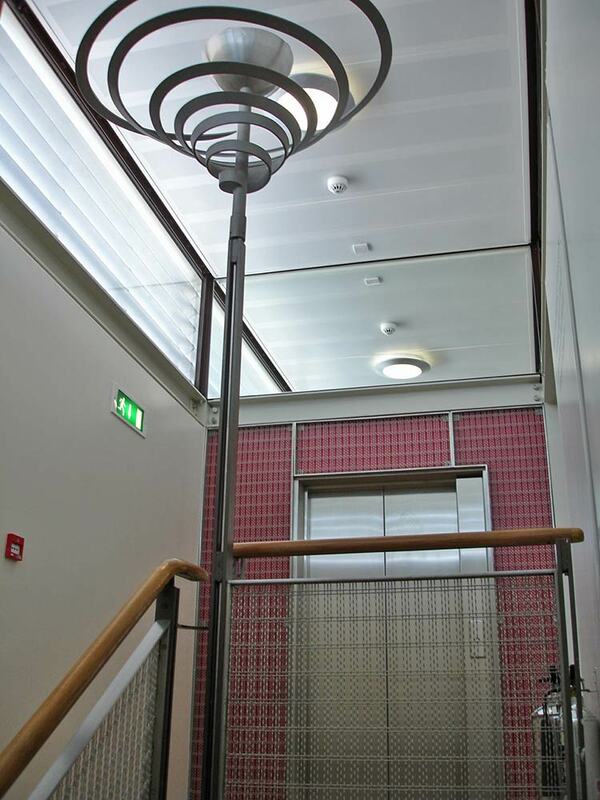 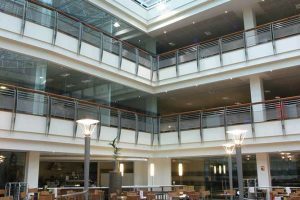 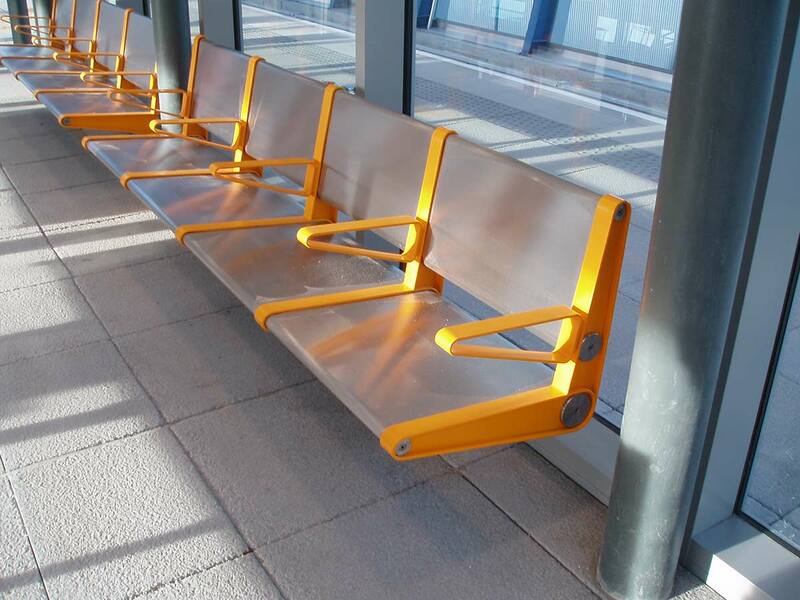 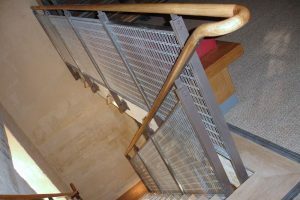 We offer a full design, fabrication and installation service for architects, designers, contractors and developers requiring bespoke metal structures, steel staircases and steel & stainless steel balustrades. 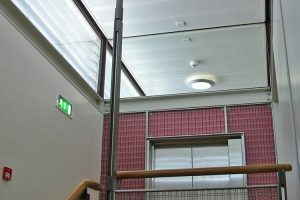 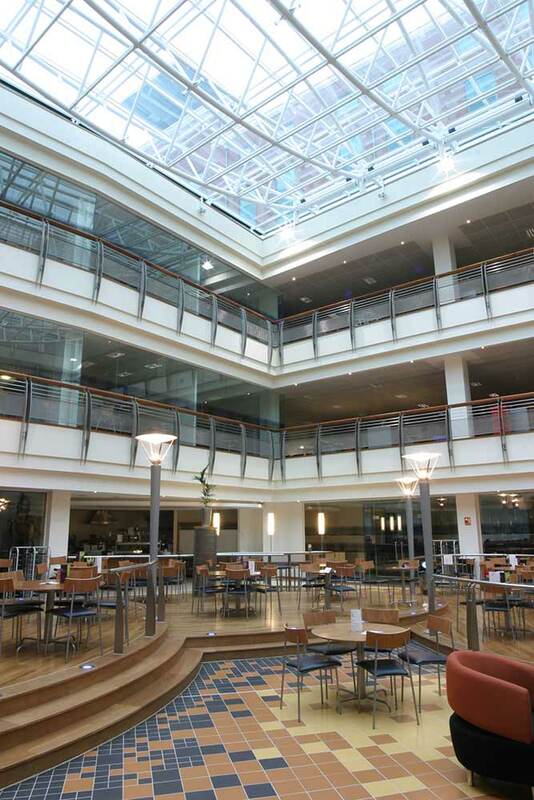 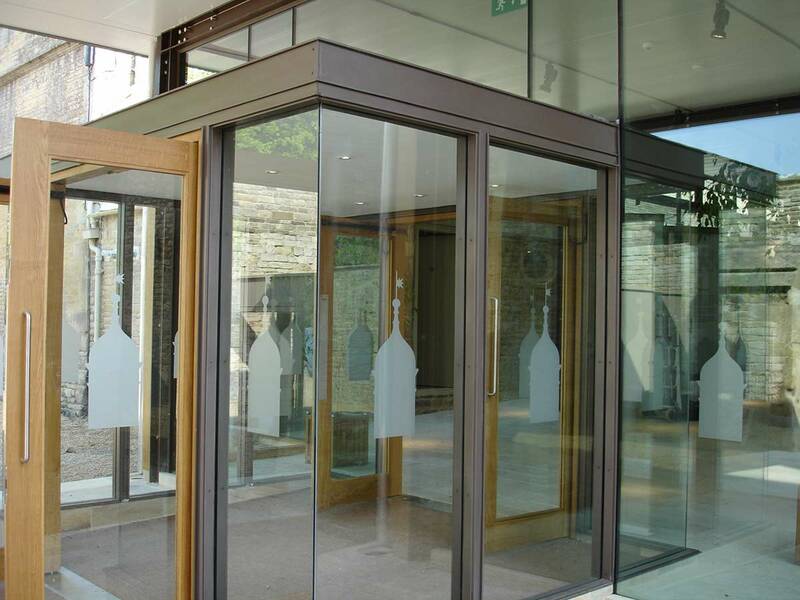 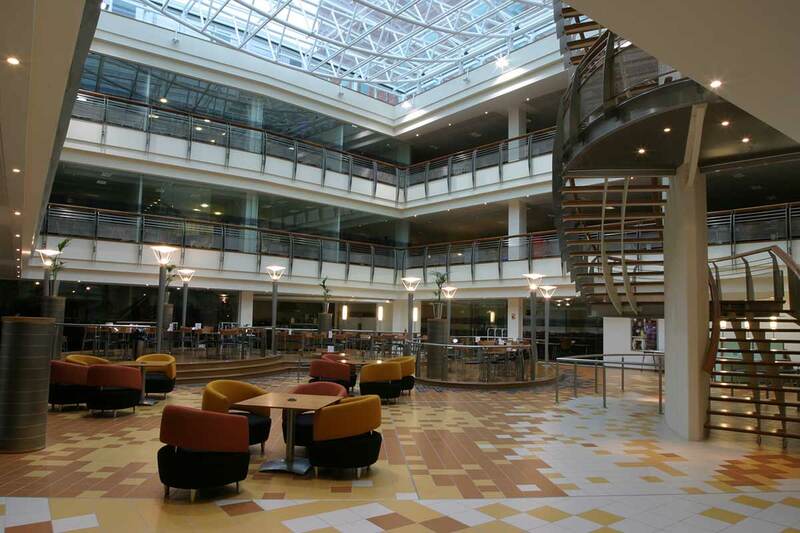 We can incorporate architectural glazing systems and specialist joinery where required. 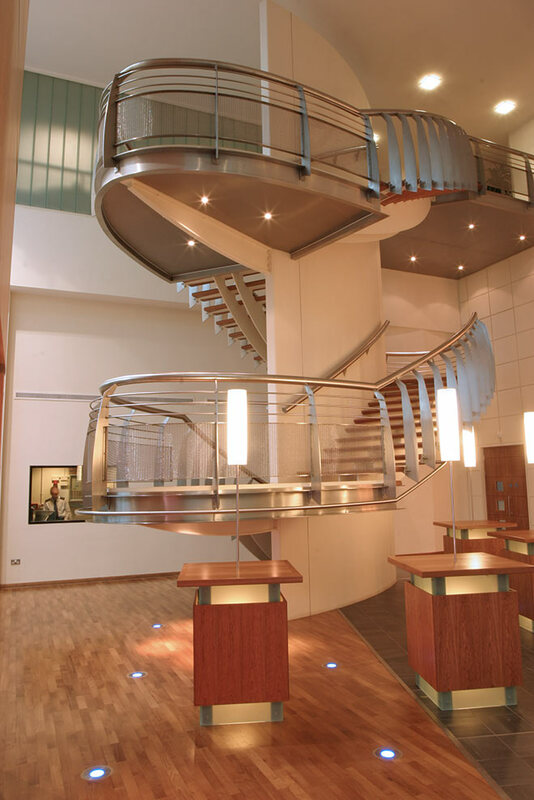 With an extensive manufacturing facility, we provide professional and affordable solutions for steelwork projects of any size. 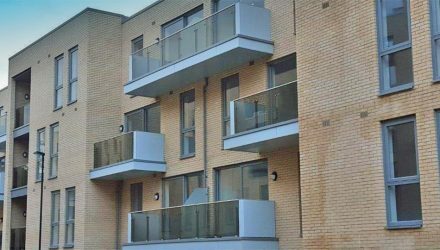 Our scope of work and experience is extensive, working with a wide range of materials to extremely high standards our skilled and experienced workforce undertake projects large and small. 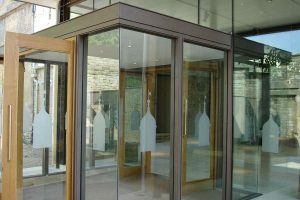 Offering a full design service and dedicated project management, we are able to supply a complete professional service to main contractors and private clients alike.